When these notes are produced without embellishment, the resulting musical phenomenon is known as palai (scale); but with embellishment, the palai becomes pan. Thus these ordinary musical notes become pan when the vocal organs shape them with proper embellishments into a delectable sound artifact. Pan also went by the name yal, which in act was a stringed instrument. 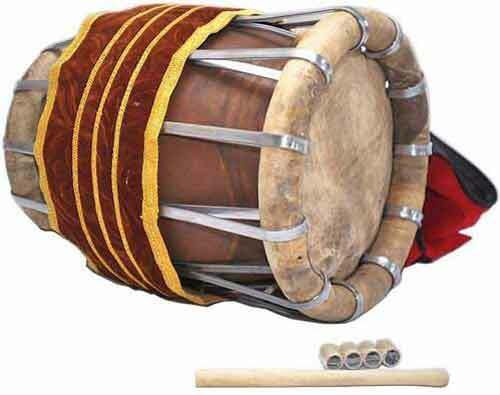 By extension, it also referred to the musical mode produced by that instrument – as mullaiyal, kurinciyal, palaiyal, marutayal, and neytalyal. This was possible because yal could imitate the voice and reproduce the vocal embellishment characteristics of pan. Other names such as palai and isai were treated as synonyms of pan, though they were inapt and imprecise. Pan is basically of two kinds – perumpan and cirupan. Perumpan has all seven notes – C, D, E, F, G, A, B – and cirupan less than seven. A mode with less than four notes cannot make a pan. In common usage, the term pan usually means a perumpan and so is its equivalent, yal. Venkatamakhi, a noted musicologist, codified seventy two perumpans as sources for the innumerable derivative ones (cirupan). Pan is also part of the tinai system. Each of the four basic tinais – mullai, kurinchi, marutam, and neytal – is associated with a specific pan. As each tinai has associations with a specific place, time, emotion and religious worship, the appropriate pan evokes readily all these aspects of tinai. The Mullai pan is now known as Harikamboji in the present time and is played in the evening during rainy season. The land associated with Mullai pan is shrub, emotion is happiness and worship is of Mayon. It is associated life and peace. The Kurinchi pan is today known as Nata Bhairavi and is played at midnight in the cold season. The land associated with Kurinchi pan is mountain and is associated with union. The worship associated with it is of Seyon. The Marutam pan is today known as Kharaharapriya and is played at dawn. The land associated with Marutam pan is riverside plains and is associated with sulking. The worship associated with it is of Ventan. The Neytal pan is today known as Todi and is played at dusk. The land associated with Neytal pan is coast and is associated with pining. The worship associated with it is of Varuna. Source - Encyclopedia of Hinduism Volume VIII - IHRF - page 1 - 2.